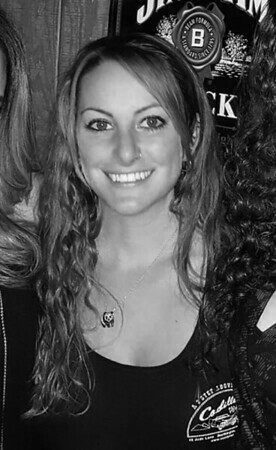 Amanda Lynn Dery, 31, of Bristol, passed away Saturday, April 13, 2019. Amanda was born Sept. 24, 1987, in Bristol, daughter of Raymond W. and Sharon (Markie) Dery of Terryville. She was a well-loved bartender at Cadillac Ranch, Southington. Amanda “Panda” always had a smile. She could light up a room with her smile and her beautiful bright eyes. Everyone who knew her adored her. You could always find Amanda outdoors, on a hike or a walk. She danced in the puddles every time it rained. She was truly loved and will be deeply missed by everyone. In addition to her parents, she is survived by maternal grandparents, Mildred Perry of Terryville and Lester and Judy Markie of Plainville; her sister, Jolene Dery and Ben Brochu of Harwinton; her brother, Paul Grandbois Jr. and his wife Kristen of Terryville; and her two nephews, Macquire and Matthew Barber. She also leaves behind several aunts, uncles and cousins. She also leaves her fat cat Grey and his companion Jane. She was predeceased by her paternal grandparents, Arthur and Virginia Dery. Relatives and friends may visit at the Scott Funeral Home, 169 Main St., Terryville, on Thursday, April 18, from 6 to 8 p.m. In lieu of flowers, please make donations to ARF in Terryville at: https://www.arfct.org/donate. Posted in The Bristol Press, on Sunday, 14 April 2019 20:42. Updated: Sunday, 14 April 2019 20:44.